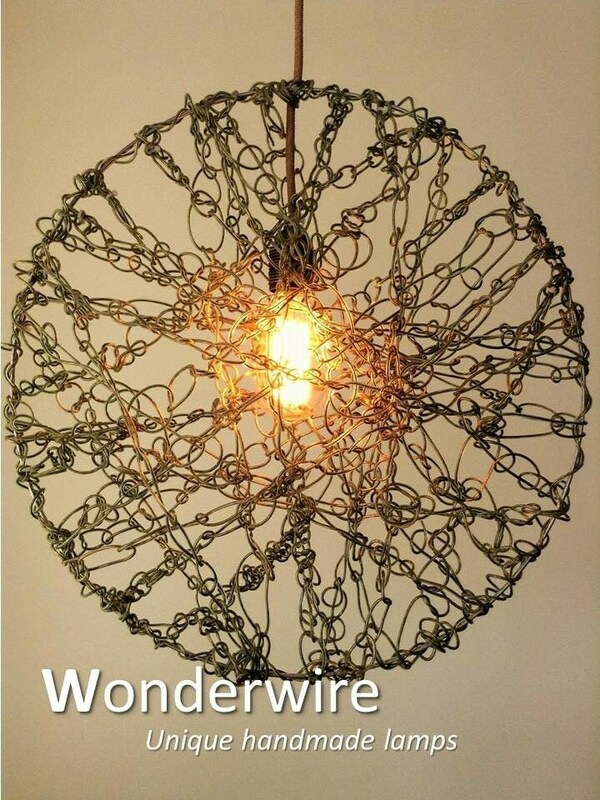 To make this handmade moon looking pendant lamp I mixed different techniques using around 40 meters of semitransparent electric wire and a metal ring of 50cm. Because of its narrow width the Luna can be places in many places. This lamp comes with a ‘luxury’ black metal ceiling cup and is adjustable in height through a strain relief. If you have any questions or wish to buy this lamp please sent me message and I will get back to you asap. Worldwide shipping possible.